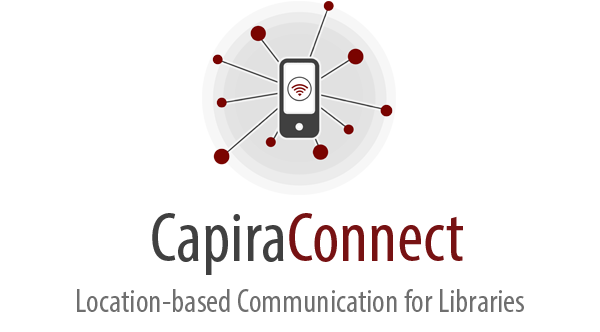 CapiraConnect™ - iTeam Resources Inc.
Information Delivered Where you Want it! devices, allows you to interact with your patrons on a whole new level. shelving and contextual information as they move about the building or complex with their mobile device. Available for Apple iOS and Android for all patrons of libraries with an active subscription. Promote your programming like never before through custom messages or calendar software integration. Full ILS integration allows for instant notification of available holds, over-due’s, fines and more! Create a truly interactive experience as patrons receive any messages imaginable pushed to their mobile device. The possibilities are endless! 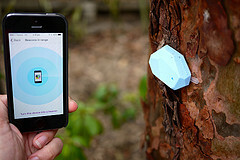 Easily manage your beacons with an easy-to-use web console. All beacons arrive configured to your system and are ready to go. Add as many as you want! 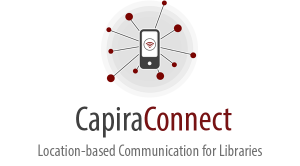 Anonymous beacon tracking allows libraries and institutions to capture how patrons move throughout the building or complex, along with time spent in each area. Did your patron miss the notification pushed to their device? A local inbox of all messages will be made available in the mobile app.